There are a great many numismatic books I would love to have in digital format. 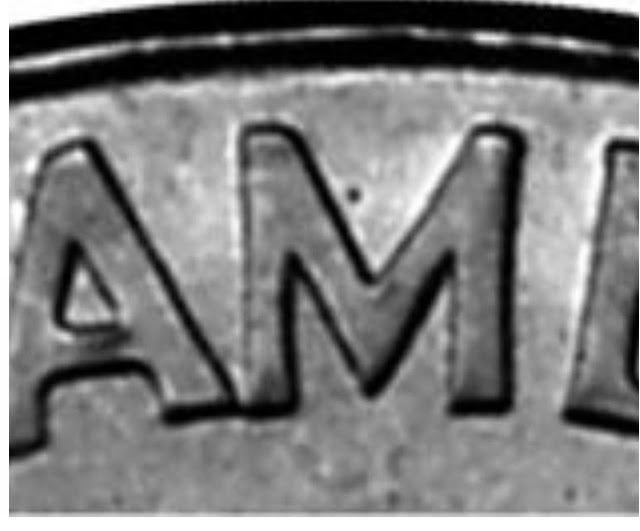 Unfortunately, most numismatic authors are reluctant or even completely opposed to publishing digitally. 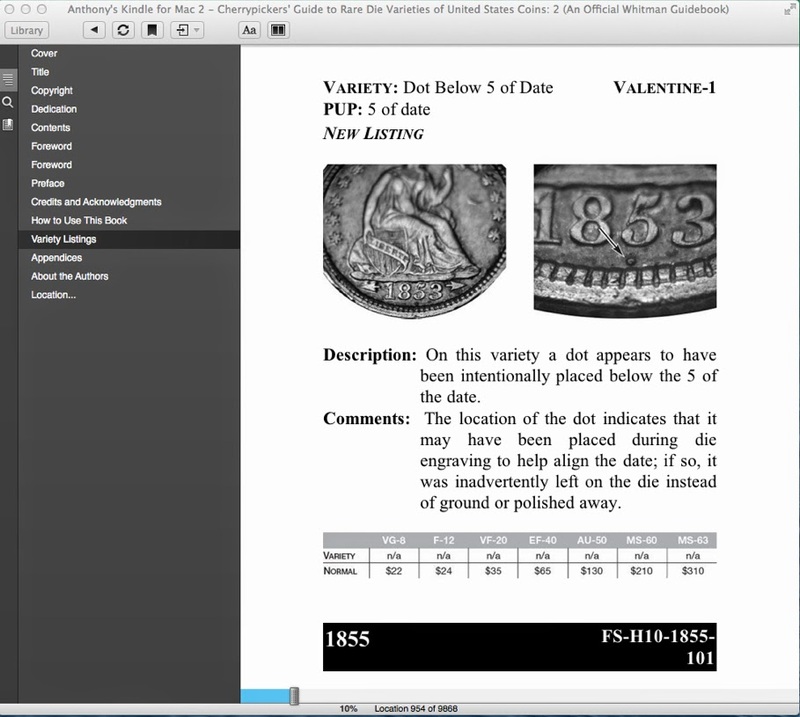 I've talked to four different numismatic authors about digital editions of their books and found that the reluctance is usually simply fear of theft. As a publisher of several computer related books in digital format, I think I can counter that fear: you make so much more money publishing digitally that the theft is unimportant. Additionally, today it's easy enough to individually stamp sales so that the source of any theft can be identified. You can fix errors easily and add new data. But most authors still seem opposed. For those who can see past their fears, I have some advice. Yes, I know that writing a book is really hard work. However, with digital you won't have any publication costs so you can sell for less because you will sell so many more. You can also easily provide a free "teaser" version that will really help increase sales. That 1855 title should have started on the next screen where the information it relates to actually is. Leaving hangers like this is not just ugly, it can also be confusing and there's no reason for it. Digital books have been around long enough that there are now people who specialize in offering reformatting services to get it right. There is no excuse for low quality photos is a digital book. This often happens because lazy authors just scan their printed work. The result is fuzzy photos. You can offer your digital books to Amazon in Kindle format. They handle everything and send you royalty payments regularly and automatically. It's also not difficult to sell on your own website - places like E-Junkie make that incredibly easy and charge a low monthly fee rather than a percentage of your sales. You don't need expensive and complicated "shopping cart" software. With digital, your books never need go out of print and can be updated as often as you like. Sales can potentially continue forever and if you use services like E-Junkie, you even have a way to contact all the people who bought when you have something new to offer them. You are missing out if you ignore digital.